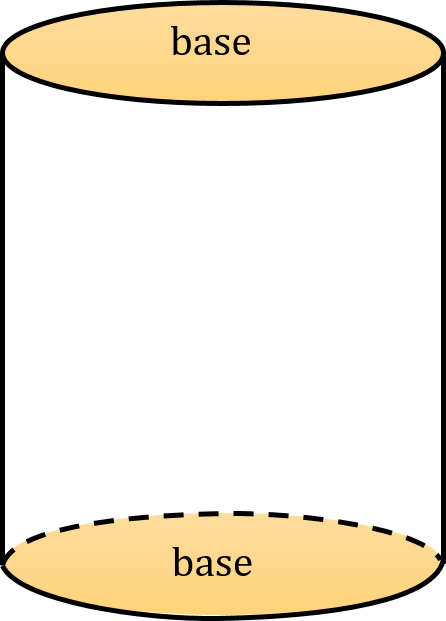 A / V - surface to volume ratio of a cylinder. 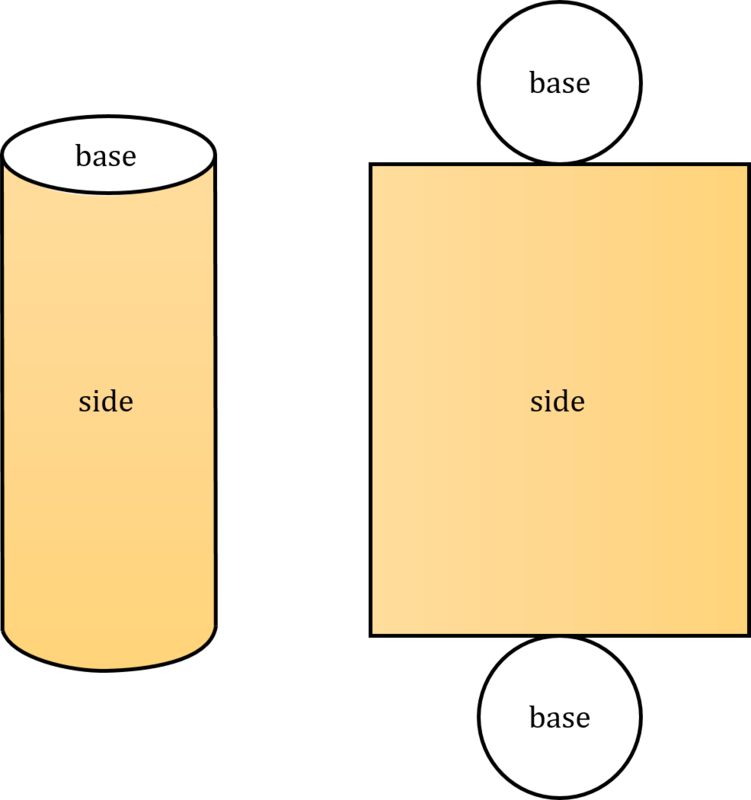 A cylinder is a three-dimensional solid that has two congruent parallel planes called bases of the cylinder. It consists of all the points on all the lines that connect its bases. A cylinder is right when one base is lying exactly above the other base. Otherwise, it is called an oblique cylinder. If the bases are circles, then the cylinder is called a circular cylinder. 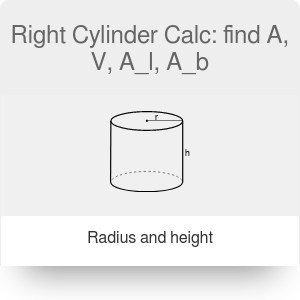 Remember that traditionally, the term cylinder usually refers to the right circular cylinder - our right cylinder calc is dedicated to this type of a cylinder. You should also check out our cylindrical coordinates calculator and see how you can use a cylinder to describe the position of any given point in a 3D space. a_b = 2 * π * r². 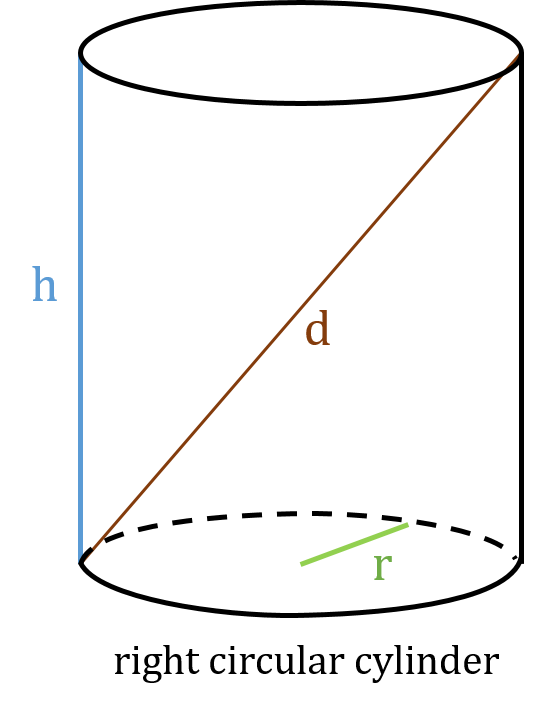 With given longest diagonal and height: A_b = π/2 * (d² - h²). To find the lateral surface area of a right circular cylinder A_l, we open the cylinder like a carton box and flatten it out to find out which geometric figures it contains - this is the so-called net of a solid. As you can see below, a right circular cylinder consists of two circles (bases) and one rectangle (lateral surface). A_l = 2 * π * r * h.
With given longest diagonal and height: A_l = √(d²h²π² - h⁴π²). With given longest diagonal and height: V = (π * h * d² - π * h³)/4. Right Cylinder Calc: find A, V, A_l, A_b can be embedded on your website to enrich the content you wrote and make it easier for your visitors to understand your message.